Since long, we have been bombarded with lots of false news regarding video games, especially with the little ones in the context. For instance, the video games will make kids couch potatoes and diminish their entire thinking capacity. However, these pieces of news are far from reality. All thanks to the video game companies for making intellectual games for kids that are fun to play and boost their productivity. If you are looking for such games for your little ones, then here we have compiled a list that entails 10 free games for kids. While some of these games have been developed for the mobile operating systems, some have been designed keeping a computer system in mind. Read On! This is one such game that promises hours of fun and challenges. Built for Android and iOS, the game turns your finger into a sword with which you need to slash fruits thrown towards you. As you involve in cutting the fruits, do make sure not to gash the game-ending bombs. Ideal game for a tablet, Fruit Ninja also supports the local multiplayer mode. Thus, two kids can test their fruit cutting skills against each other on a real-time basis. If you want to develop or hone creativity and problem-solving skills in your kid, then this is the game that you need to allow them to play. 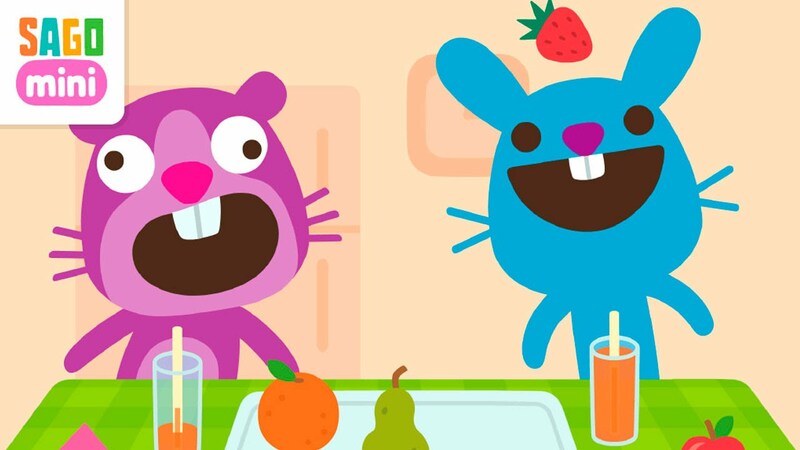 Available on Android, iOS, and PC, Sago Mini Friends entail a plenty of exciting mini-games. In the start, the game allows you to choose a colorful character. With the same character, you then explore your neighborhood comprising cartoon houses. Knock on any of the gates and you’ll be invited to carry out a task, for instance, hammering nails into a birdhouse, dress-up, etc. The bright and colorful game is sure to bring joy to the kids playing it. Tired of cleaning doodles, drawings, and wall-arts made by your kid everywhere in your place. 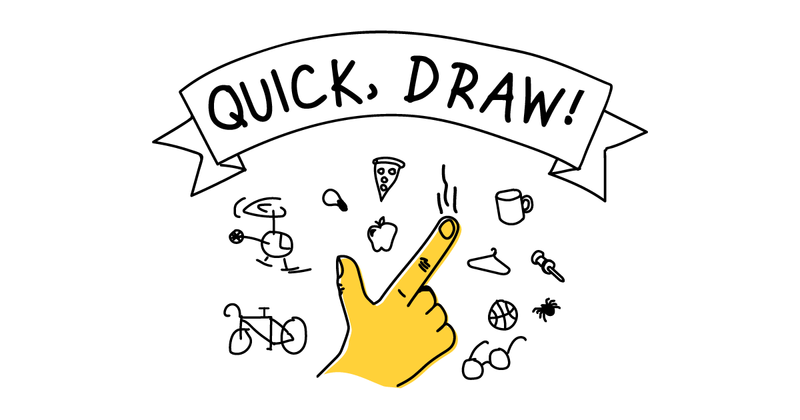 Then keep them busy with this drawing game – Quick, Draw. It’s an online game by Google which can be best played in the browser Google Chrome. It’s a time-based game where the kids need to draw an object closely enough to be recognized by the Google’s Neural Network. As they successfully draw an object, they are asked by the system to draw another one. They can even check the drawings made by other people. 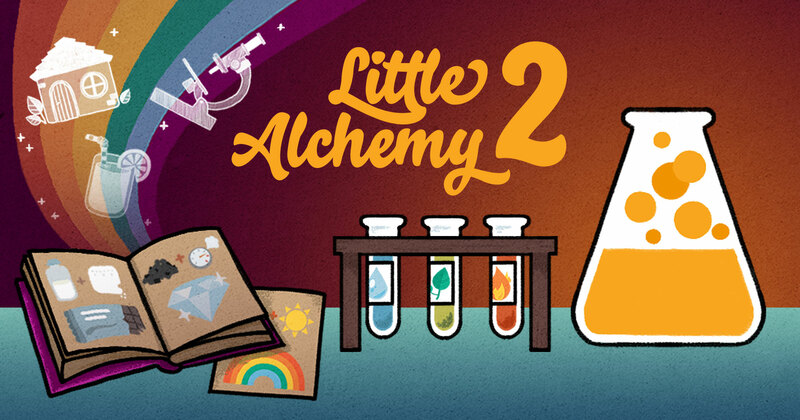 The match-and-discover genre game, Little Alchemy 2 is a fun and free-to-play game. In the beginning of the game, it gives you handful of elements, for instance, air, fire, water, etc. You can combine these elements and make altogether new things. These new newly formed things are again added to your resource list and they can be used to further make new things. For example, when you combine air and fire, you make smoke. The game then gives a one-liner for every new element formed, thereby educating the little ones. 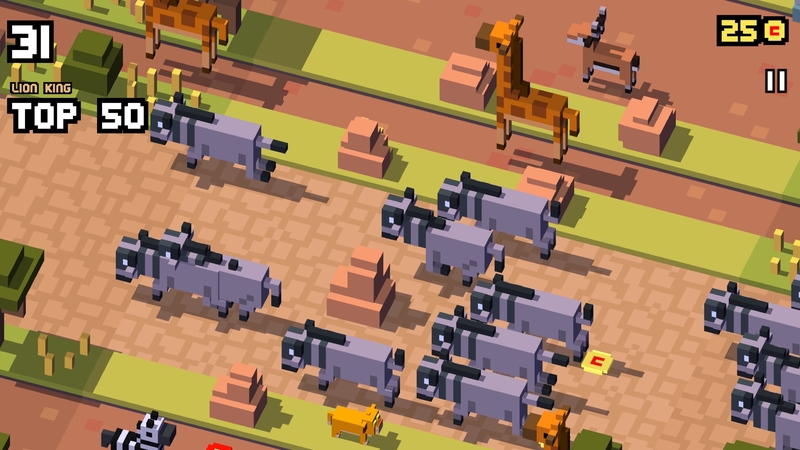 The game can be played online or on devices powered by Android and iOS. Help a robot reach its goals in the world of landscape-flipping mechanics. The Mekorama game charming, and known to offer a tactile experience. There are 50 built-in levels in the game to play. In case, you are done with all these levels, you can download more from the internet or even make new ones on your own. Don’t take Frisbee Forever 2 a game with a plastic disc flying here and there. 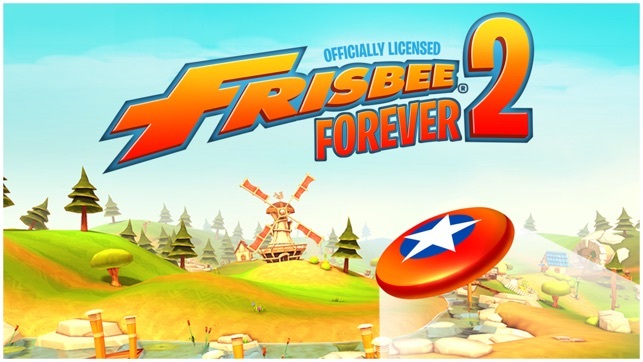 This game can keep the little ones busy as bee as they guide the disc through gates and collect the stars on its path. Vibrant visuals of the game make it all the more appealing and elegant. There are levels which have been smartly designed thereby infusing fun and challenge in the gameplay. The game also rewards its gamers with in-game currency. It works on devices that support Android and iOS. The game is simple to understand and fun to play. The players need to march across the mazes, find the key, collect it, and make for the exit. A lot of chaos in the game add to the thrill and fun quotient of playing the game. One can rejoice the Forget-Me-Not game on PC, MAC, OpenPandora, and MorphOS. If your kid is a big fan on puzzle-based games, then Contre Jour is no less than a sheer delight for them. The aim in the game is to successfully get Petit – the protagonist – to the glowing exit. The controls of the game are super easy. All it takes is clicking and tapping to influence the movement of Pettit. However, as you endeavor to exit and make it to the next level, do look for the cactus-shaped hurdle erecting from everywhere. Let your little one scratch their head as they try to find a way to the exit. In this open-source indie platform video game, the kids control an adventurer named Spelunker and aim to explore underground tunnels, collect treasure, and eliminate enemies by whipping or jumping on them. The levels in the game are randomly generated and each one of them contains valuable treasure, secret locations, and items. The name Disney itself sounds kids-friendly and thus, the Disney Cross Road is the game that your kids should definitely try. 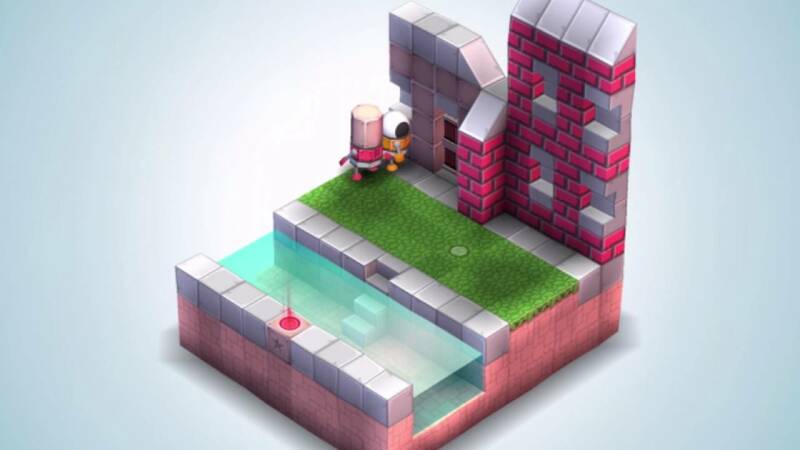 There is a slew of levels in the game with numerous obstacles in each one of them. As a player, you need to dodge these obstacles and make your way to the other end of the landscape. There are more than 100 figurines to be found and coins to collect in the game. The game is compatible with devices powered by Android and iOS. Give your little ones some entertaining hours with any of the aforementioned game titles. They are easy to understand and super fun to play. In-house Copywriter, Content Creator, and Marketing Writer for 500bestapps.